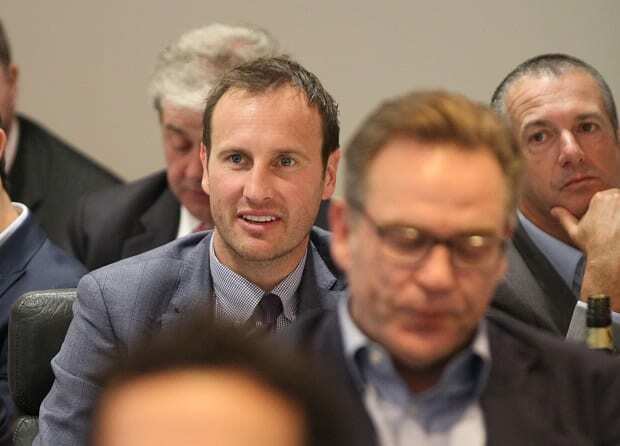 Some of the biggest names in Australian sport gathered in one room on Thursday to throw their support behind “a young organisation with big dreams”. 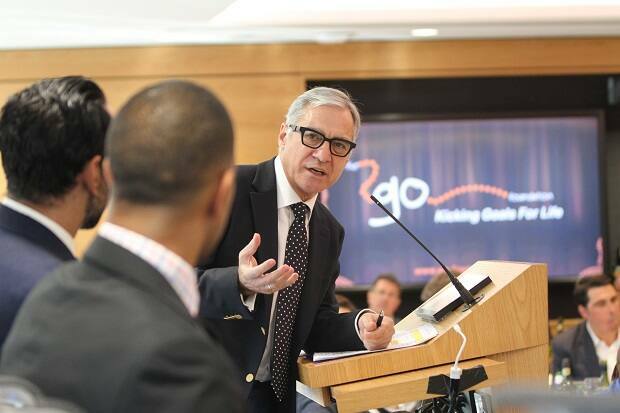 The GO Foundation, fronted by founders Adam Goodes and Michael O’Loughlin, hosted The Big Lunch inside Citi Bank’s Park Street headquarters with the aim of raising valuable funds. MC’d by John Mangos and attended by former sports stars Steve Waugh, Adam Gilchrist, George Gregan, Phil Kearns and Anthony Mininchello, proceeds raised through individual donations and an auction will go towards scholarships which in turn will provide Indigenous Australians with opportunities to attend quality schools. 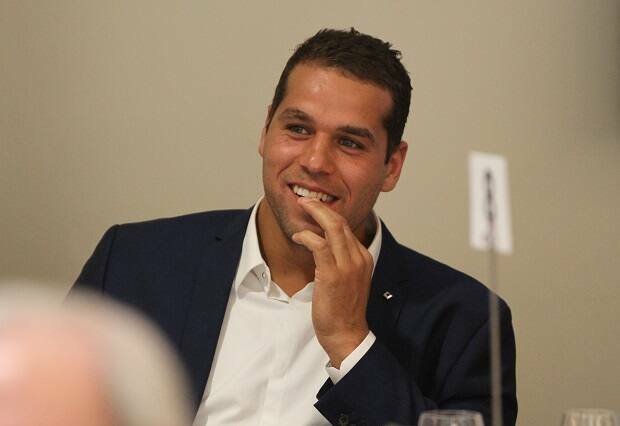 The Sydney Swans’ very own Jude Bolton and Lance Franklin were also in attendance. 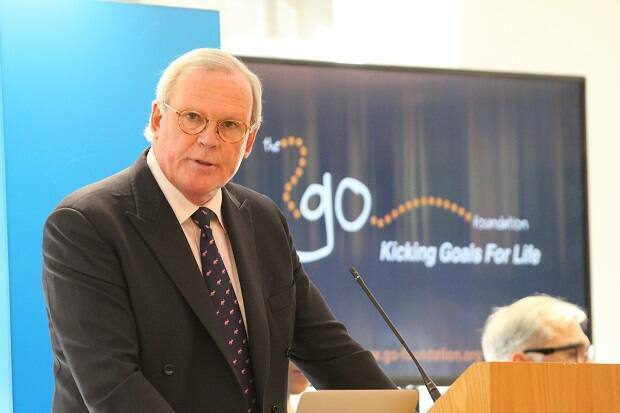 While the GO Foundation was the brain child of two sporting greats, the former reaffirmed that their scholarships are designed to provide vital support for academics chasing their dreams. “These scholarships and the kids we target are all about academics and where they want to be when they finish uni,” Goodes said. “We’re targeting these kids who need that extra support around them to be whoever they want to be. 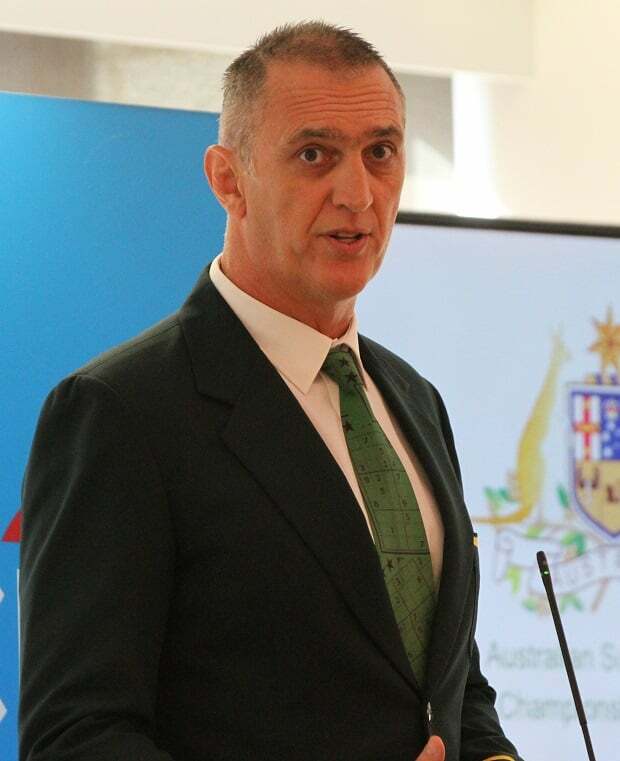 After a welcome from GO Foundation Chairman Mr. Peter Meurer, author and poet Mick Colliss entertained the crowd with a story of how his dream to represent Australia became a reality. Then it was onto the Q&A, first with Goodes and O’Loughlin then with three absolute legends of Australian sport in Waugh, Gilchrist and Gregan to end proceedings. Established in 2009, the GO Foundation has 17 students currently on fully-funded scholarships with six added in past 12 months. 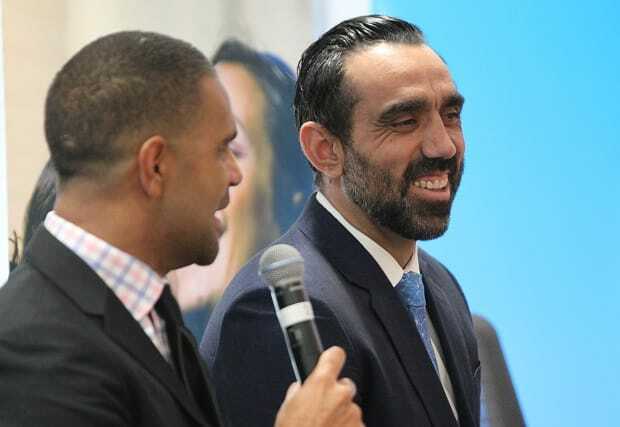 With vital help from supporting partner the Australian Indigenous Education Foundation (AIEF), Goodes and O’Loughlin are striving to increase that number by year’s end. See some of the best shots from the afternoon below. Go Foundation Chairman Mr. Peter Meurer kicks the afternoon off. 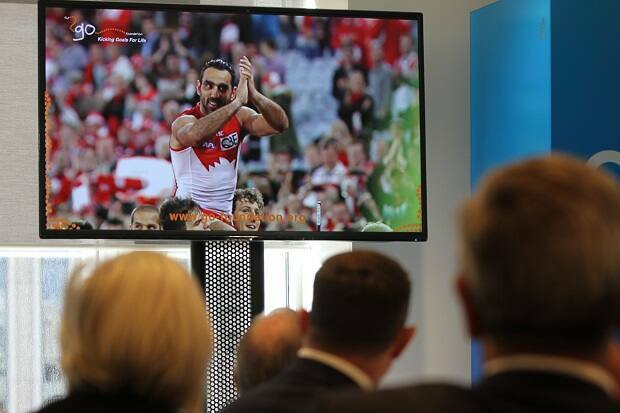 Guests are treated to a highlight reel of Adam Goodes and Michael O’Loughlin. 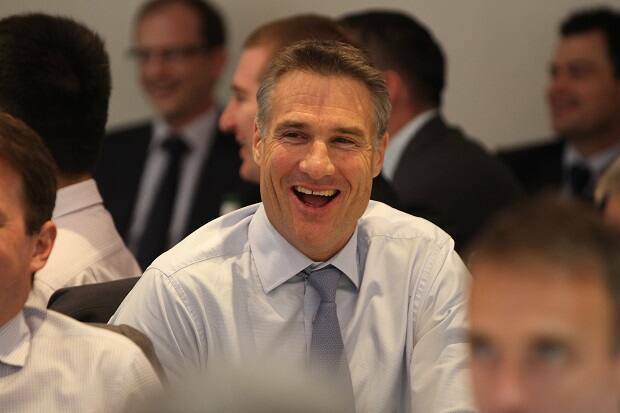 Plenty of laughs when Mick Colliss took to the stage. Premiership player Jason Ball enjoys the festivities. Lance Franklin shows his support for his good friends in Goodesy and Micky O’. MC John Mangos chats to Goodesy and Micky O’. Premiership teammate of Adam and Mick’s, Jude Bolton, was all ears. 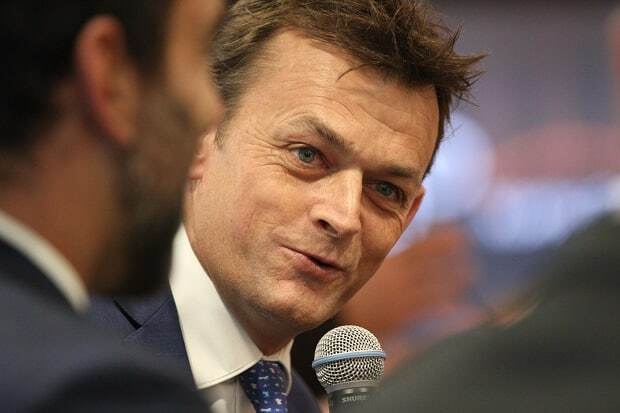 Adam Gilchrist on the panel alongside the two GO Foundation founders. 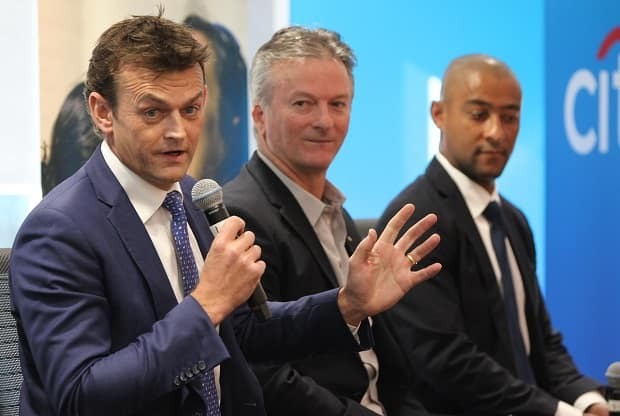 Gilchrist alongside former skipper Steve Waugh and former Wallaby George Gregan. Goodesy shares a laugh with his good mate.